While it may seem surprising that the online retailer wants to invest in an in-person experience, it’s really about Alexa. One of Alexa’s greatest assets is the large number of third-party devices and services she can integrate and control by voice, mostly smart home devices. However, getting the various gadgets to play nice together can be daunting for non-tech savvy consumers. This has resulted in high return rates for smart home products. By offering free consultations and in-home installations starting at $99, Amazon can reduce the friction of consumers adopting the smart home and further integrate Alexa into consumers’ everyday lives. This will also increase its retail share of smart home products as the Alexa consultation also includes creating a personalized shopping list for the customer. 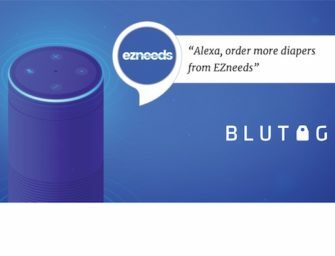 Even Best Buy is leveraging Amazon’s Alexa and Google Home to lure consumers into buying additional products. The company recently announced it is creating specific Amazon Alexa and Google Home displays in 700 stores starting this month. In addition to tutorials, the company will also feature smart home products that integrate with the two devices, like Philips Hue smart light bulbs and Nest thermostats. One way Best Buy has continued to thrive even with the increased competition from Amazon has been to offer in-person and in-home support for home technology. This could be an up-hill battle for Amazon as the company is better known for drones than in-person customer support. But given the programs recent success, Amazon could successfully take on Geek Squad. One has to wonder, what’s next?